Bay Area Beauty Love: Benefit Punch Pop! 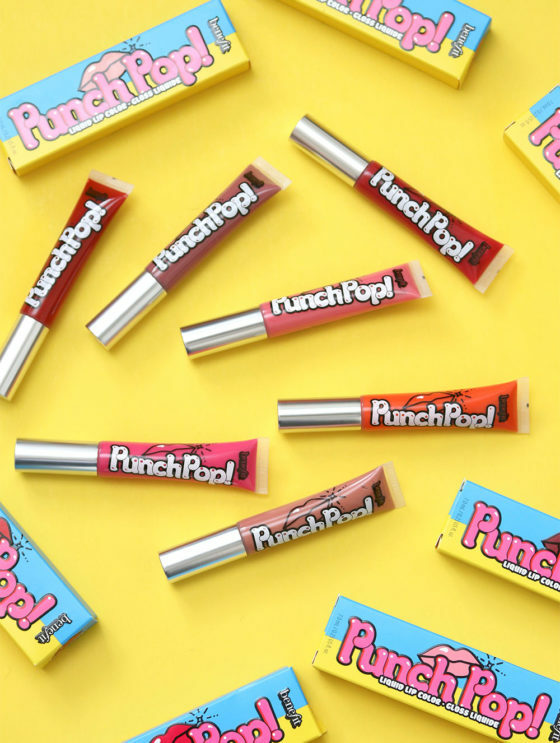 Leave a Comment on Bay Area Beauty Love: Benefit Punch Pop! Yay for the Bay! In this series, for the month of February 2019, I’ll be featuring products from and around my stomping grounds, the San Francisco Bay Area. My idea of the perfect party punch involves strawberries, and if they aren’t in there in copious amounts (mashed or sliced, doesn’t matter to me), I’m out. There’s a Strawberry version in the new-ish Benefit Punch Pops, so YAY for me and my red berry addiction, which I blame on a childhood spent obsessing over Strawberry Shortcake (the doll, not the dessert…although I do love both). For the life of me, I can’t figure out why the boxes say “Liquid Lip Color,” when really, this new-ish line, which came out last fall, is made up of straight-up lipglosses. Slightly confusing marketing aside, the glosses are fun, functional and best of all, cute, which is what Benefit, a beauty brand based outta SF (my old stomping grounds! ), does best. This line of non-sticky, full-pigment glosses is supposed to be cheeky and fun and not meant to be taken too seriously. You stick one in your purse, wear it everyday for two weeks straight, and then after that, occasionally take it out whenever you do a deep dive into your bag (“Oh, so THAT’S where it went!”) and touch up with it before moving onto the next thing. Continue reading "Bay Area Beauty Love: Benefit Punch Pop!" on Makeup and Beauty Blog.